Centre Radio began as a hobby station on December 19th 1986 from Baldoyle in northeast Dublin and came on air during school holidays. Brian Greene of pirate.ie was one of the original founders and John Walsh was also involved. By 1987 the station had developed into a youth project and was training up to 80 young people in radio. From February 1988 Centre was on air every evening and weekend from Bayside. It was one of the last stations in Dublin to closedown at midnight on New Year’s Eve 1988. This recording is of an oldies show presented by Bobby Gibbson (aka Brian Greene) on 25.09.88. It includes community news and stations idents by Richard Taylor (aka John Walsh). 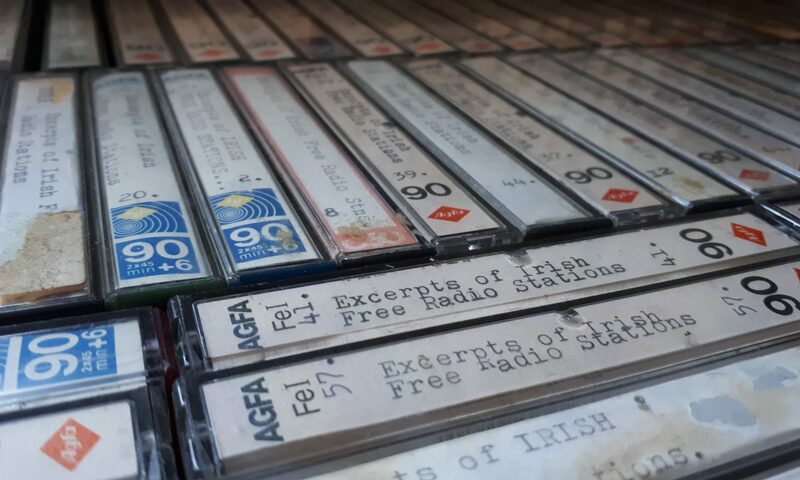 Despite the claims in the idents, Centre broadcast in mono only, with the exception of its overnight stereo relay of the Radio Nova satellite service via the former Southside Radio FM TX in Dublin. You can read more about the history of Centre here.